In this bestselling and delightfully quirky debut novel from Sweden, a grumpy yet loveable man finds his solitary world turned on its head when a boisterous young family moves in next door. Winner of the 2014 BookBrowse Debut Novel Award. Meet Ove. He's a curmudgeon - the kind of man who points at people he dislikes as if they were burglars caught outside his bedroom window. He has staunch principles, strict routines, and a short fuse. People call him "the bitter neighbor from hell." But must Ove be bitter just because he doesn't walk around with a smile plastered to his face all the time? BookBrowse note: In Swedish Ove is pronounced (approximately) Oover. He drives a Saab. He's the kind of man who points at people he doesn't like the look of, as if they were burglars and his forefinger a policeman's flashlight. He stands at the counter of a shop where owners of Japanese cars come to purchase white cables. Ove eyes the sales assistant for a long time before shaking a mediumsized white box at him. "I see. So it's a computer, yes?" How does the opening scene, in which Ove attempts to purchase a computer, succinctly express the main points of Ove's ongoing battle with the stupidities of the modern world? Ove loves things that have a purpose, that are useful. How does this worldview fail him when he believes himself to be useless? How is he convinced that he can still be useful? As readers, we get to know Ove slowly, with his past only being revealed piece by piece. What surprised you about Ove's past? Why do you think the author revealed Ove's past the way that he did? A Man Called Ove is a perfect selection for book clubs. It's well written and replete with universal concerns. It lacks violence and profanity, is life-affirming and relationship-driven. The book is bittersweet, tender, often wickedly humorous and almost certain to elicit tears. (Reviewed by Linda Hitchcock). Starred Review. 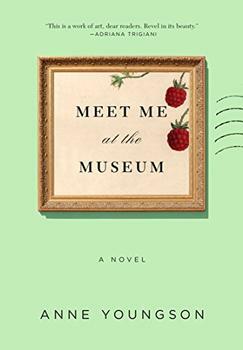 The debut novel from journalist Backman is a fuzzy crowd-pleaser that serves up laughs to accompany a thoughtful reflection on loss and love. Though Ove's antics occasionally feel repetitive, the author writes with winning charm. Starred Review. Readers seeking feel-good tales with a message will rave about the rantings of this solitary old man with a singular outlook. 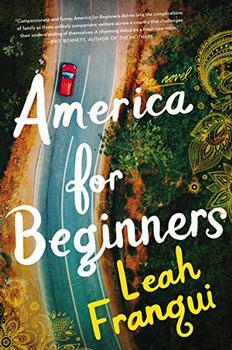 If there was an award for 'Most Charming Book of the Year,' this first novel by a Swedish blogger-turned-overnight-sensation would win hands down. This charming debut novel by Backman should find a ready audience with English-language readers… hysterically funny… wry descriptions, excellent pacing… In the contest of Most Winning Combination, it would be hard to beat grumpy Ove and his hidden, generous heart. There are characters who amuse us, and stories that touch us. But this character and his story do even more: A Man Called Ove makes us think about who we are and how we want to live our lives. There were many funny moments in this book, but I would hardly call it comedic. There were many tearful moments for me as I read this. Wonderful book. One of the best I've read in ages. He introduces his characters a little at a time and doesn' t spoil their quirks by giving too much information about them too quickly. One of my favorite books in a long time! Ove is a loveable, unforgettable character. His grumpiness is hysterically funny and barely masks his capacity to love selfishlessly. I could not put this book down and was terribly sad when it was finished. A Man Called Ove inexorably links the man and his cherished Saab. Ove's first vehicle, inherited from his father at age 16, was a restored green 1949 Saab '92, a two-door coupe, the distinctive Swedish automobile manufacturer's first production car. Ove's devotion and brand loyalty to the company's Swedish roots is so steadfast that he ceases purchasing new cars after the General Motors acquisition, choosing instead to retain his dark blue 1998 Saab 9.5 Estate model.